They have treated children in Bangladesh, helped families in Appalachia, and worked at top dental centers here at home. Our dentists aren’t just experienced practitioners, they’re amazing people too. The current dentistry shortage in the United States affects rural areas most profoundly. Dental professionals who join the Finger Lakes Community Health (FLCH) family have the unique opportunity to make a difference in the communities where they are desperately needed—and appreciated! In addition to seeing patients in our health centers, our dental professionals work offsite through our Portable Dental Program, providing services to agriculatural sites, schools, jails and children’s centers. You will enjoy working with adults and children from a variety of backgrounds, in various clinical settings. Our Teledental Network uses the latest technology to help rural patients overcome the limitations of geography. It can provide remote viewing of dental screenings and exams for consults with periodontal specialists outside of our area. It also provides access to distance learning for professional advancement. 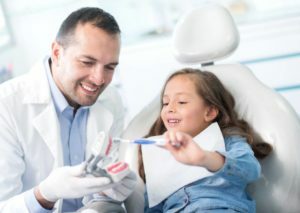 We also collaborate with the Eastman Institute of Oral Health at the University of Rochester Medical Center (UR Medicine) to provide pediatric dental services to children with complex needs.